The test is a yes/no check for enterovirus D68, which since August has caused hundreds of asthma-like respiratory illnesses in children -- some so severe the patients needed a breathing machine. The virus is being investigated as a cause of at least 6 deaths. Enterovirus D68 is one of a pack of viruses that spread around the country every year around the start of school, generally causing cold-like illnesses. Those viruses tend to wane after September, and some experts think that's what's been happening. One of the places hardest hit by the enterovirus D68 wave was Children's Mercy Hospital in Kansas City, Missouri. The specialized pediatric hospital was flooded with cases of wheezing, very sick children in August, hitting a peak of nearly 300 in the last week of the month. 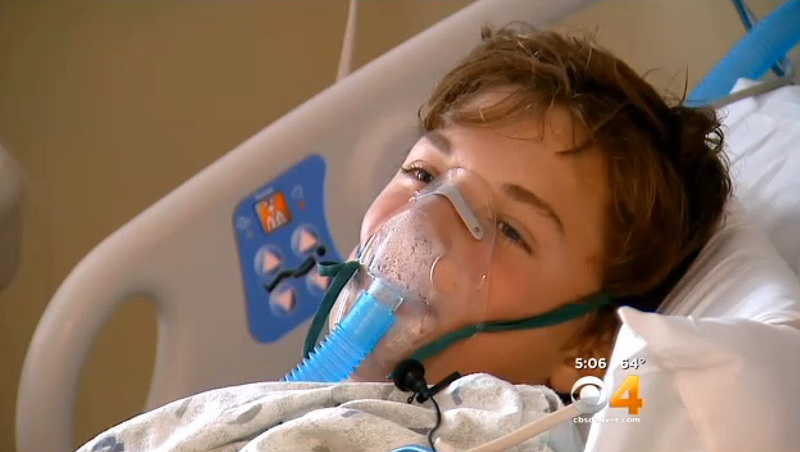 Health officials began finding enterovirus D68. The CDC, in Atlanta, has been receiving specimens from severely ill children all over the country and doing about 80 percent of the testing for the virus. The test has been used for disease surveillance, but not treatment. Doctors give over-the-counter medicines for milder cases, and provide oxygen or other supportive care for more severe ones. The CDC has been diagnosing enterovirus D68 in roughly half of the specimens sent in, Pallansch said. Others have been diagnosed with an assortment of other respiratory germs. As of Tuesday, lab tests by the CDC have confirmed infections in 691 people in 46 states and the District of Columbia. In addition, labs in California, Indiana, Minnesota and New York also have been doing enterovirus testing and contributing to the national count. It hasn't been determined if or when the states will begin using the new test, which was developed by a CDC team led by Allan Nix. It is not yet clear whether enterovirus D68 is causing the paralysis symptoms, but on "CBS This Morning" Sept. 29, medical contributor Dr. David Agus explained there's reason to believe there may be a connection. "Polio is an enterovirus so we know enteroviruses can affect neurological symptoms," he said. "In fact there was an outbreak earlier this year in the state of California where several kids got paralysis and they also had this particular virus."